We offer 24 hour service with no after-hours or emergency call-out fees. 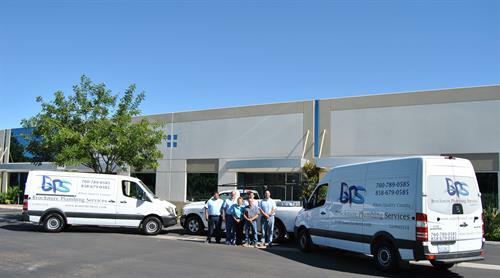 We are a full service plumbing company that handles residential, commercial and industrial plumbing. We are certified by the state as a Small Business (SB) and Disabled Veteran Business Enterprise (DVBE). Our technicians are the most qualified in the business who take pride in their work and deliver the highest quality customer service. If you're looking for a plumbing company that focuses on honesty, integrity and the highest levels of knowledge and expertise in the industry, Brockmire Plumbing Services would be honored to earn your business.